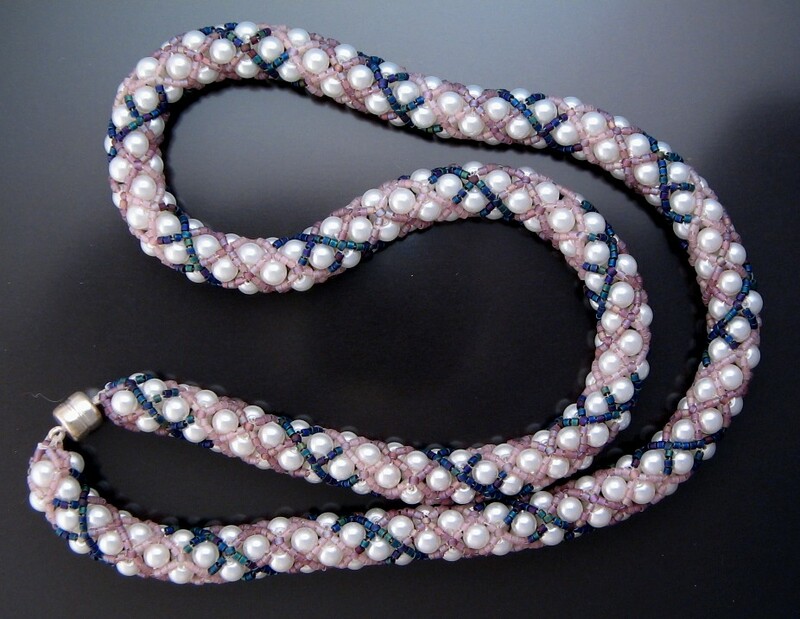 White glass pearls with a matte herringbone pattern netting. 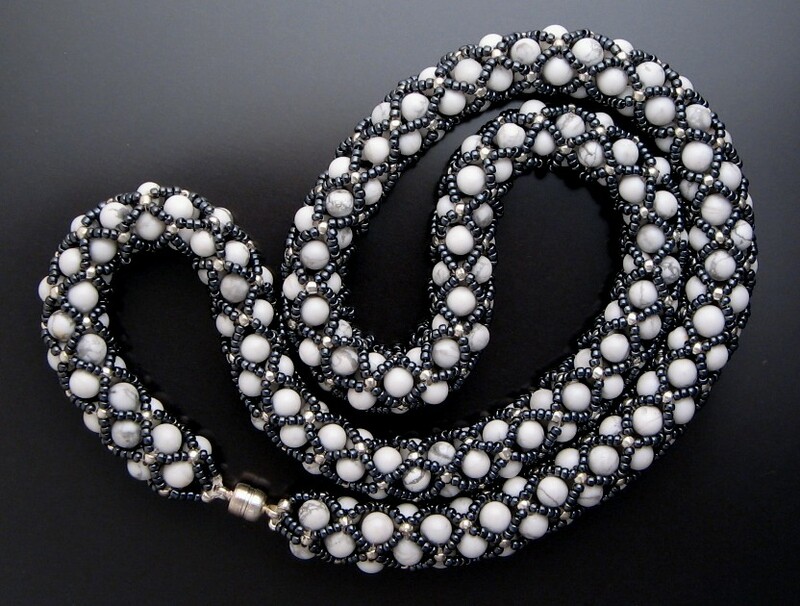 Magnetic clasp 21.5"
White howlite beads in a netting of hematite seed beads, with silver accents. 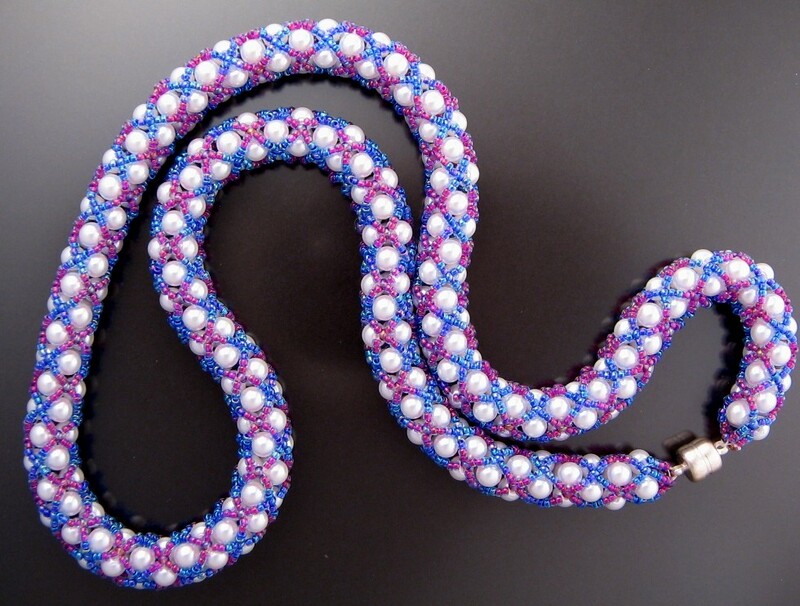 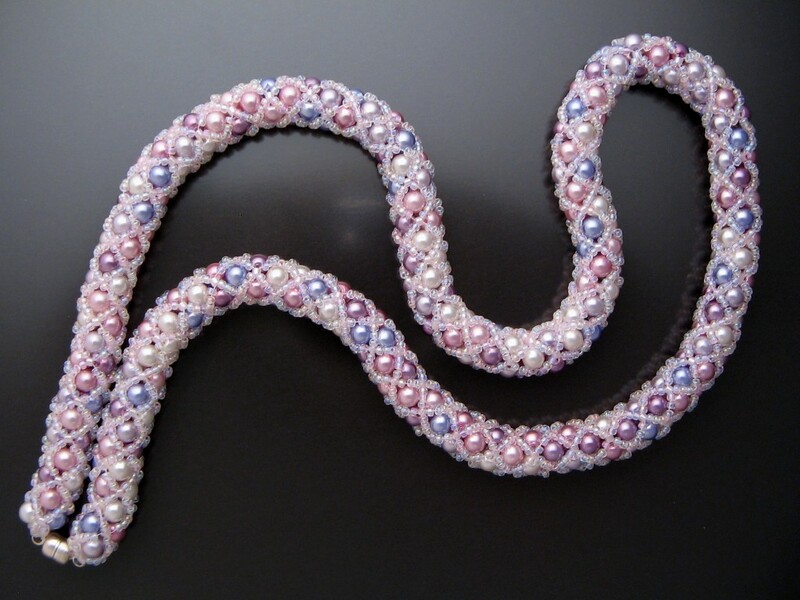 Magnetic clasp 20"
White glass pearls with a pattern of alternating Xs in blue and purple. 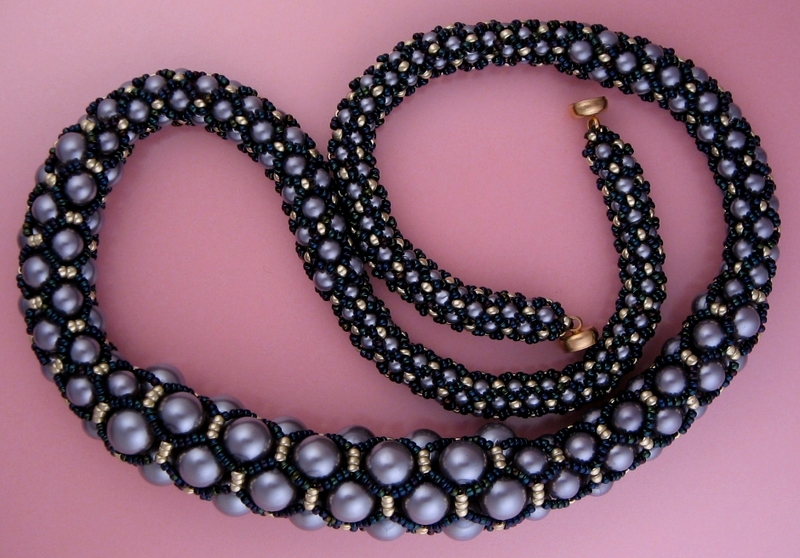 The dark beads really bring out the glow in the pearls. 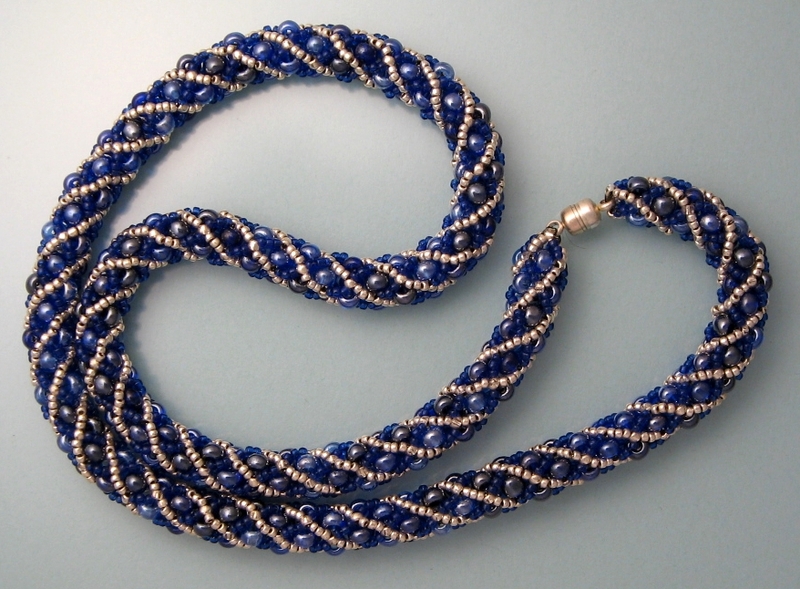 Magnetic clasp 22"
Glass beads in royal blue are set off by a spiral of silver. 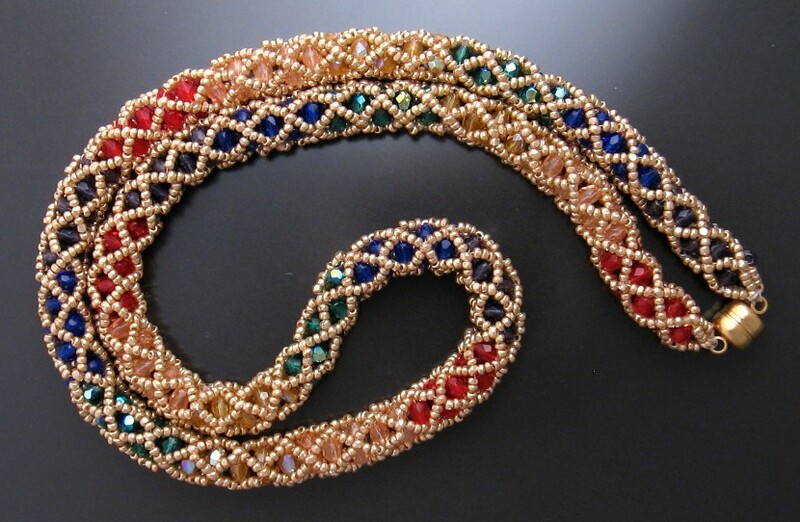 Custom options available for length and clasp. 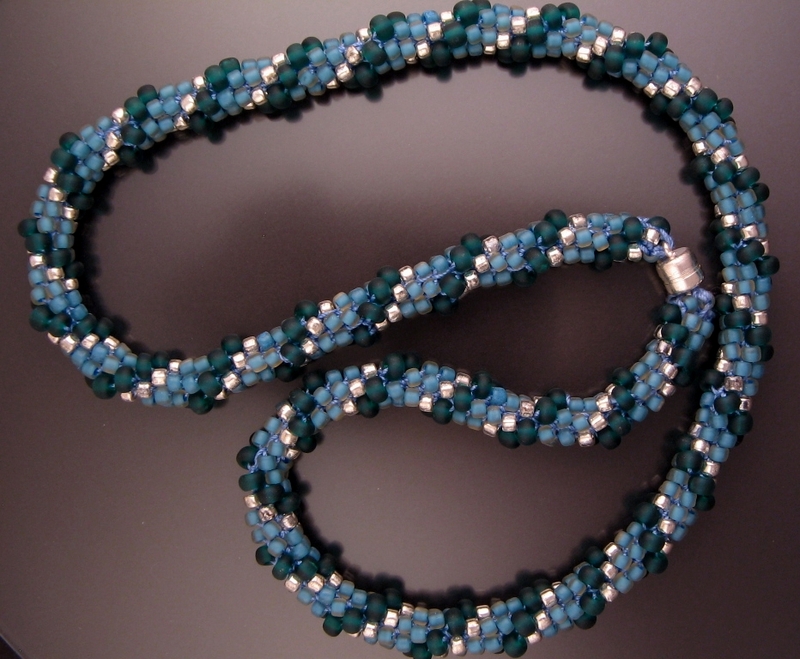 Magnetic clasp 20"
Crocheted rope in two shades of matte teal/green with a subtle silver highlight. 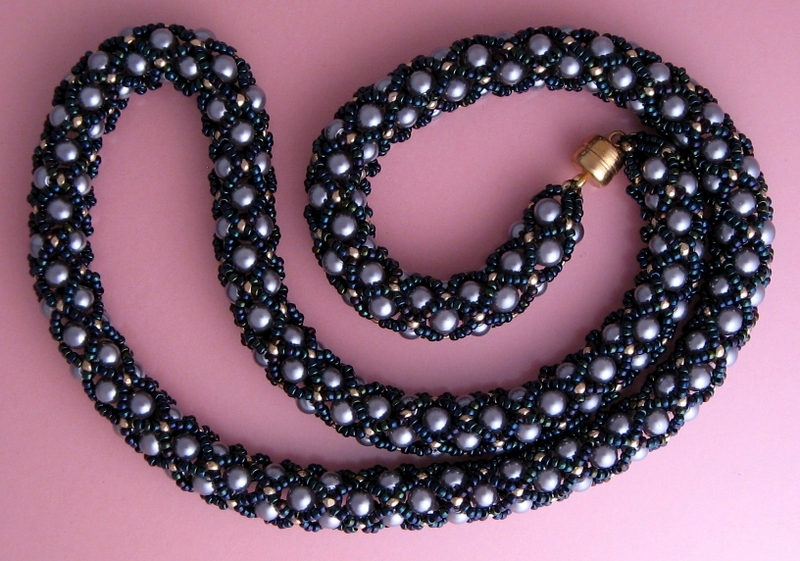 Magnetic clasp 21"
Grey glass pearls, graduated from tiny 3mm to dramatic 8mm, netted in black, with elegant gold accents. 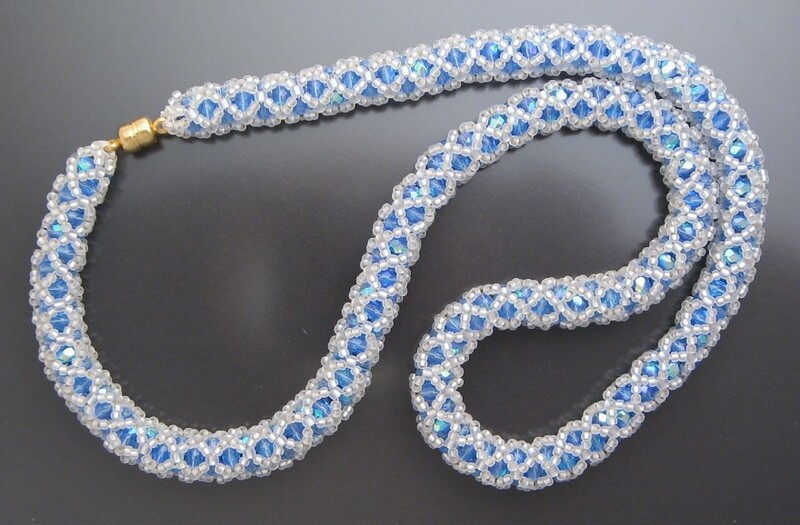 Magnetic clasp 21"
Pale sapphire blue glass beads with a rainbow "aurora borealis" effect nestled in a frosted white net. 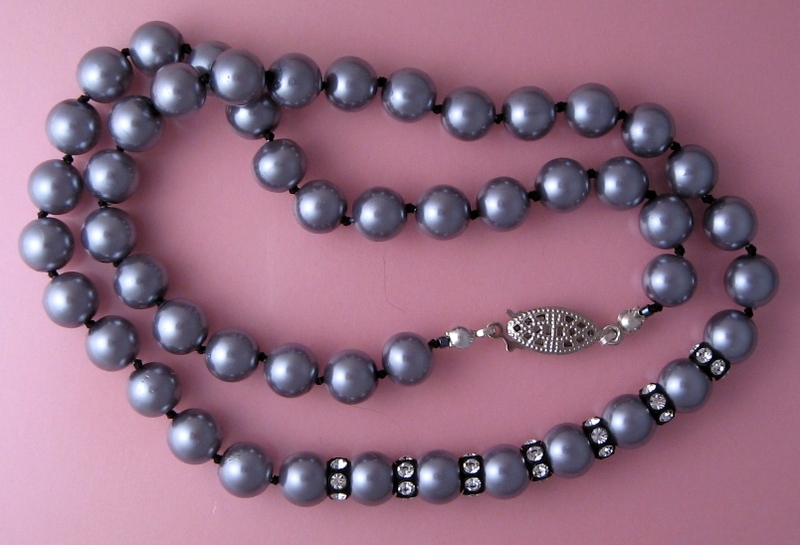 Easter Sunday, anyone? 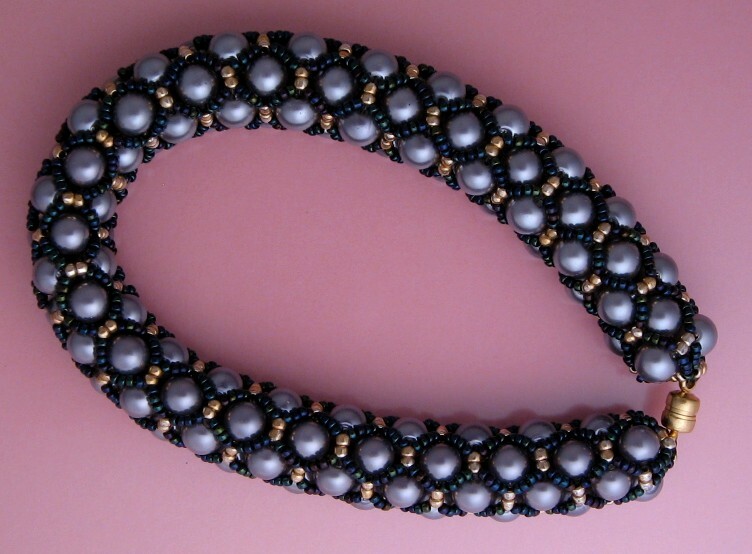 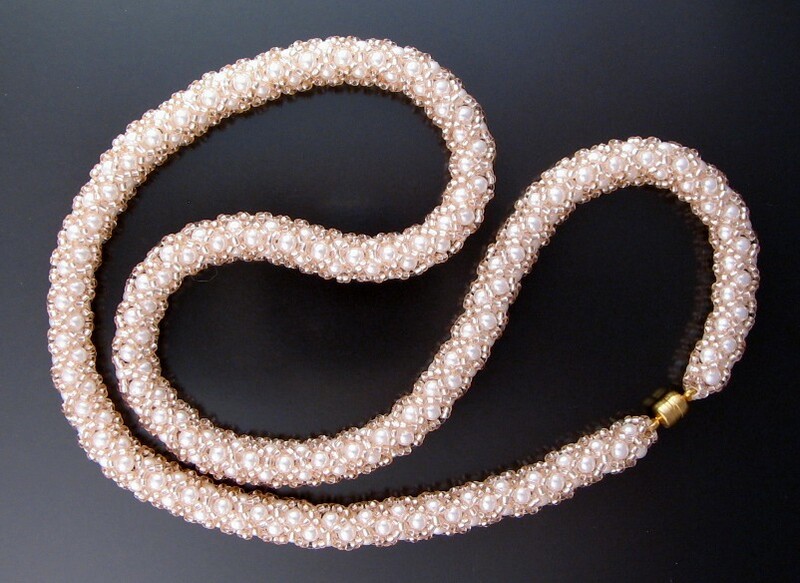 Magnetic clasp 18.5"